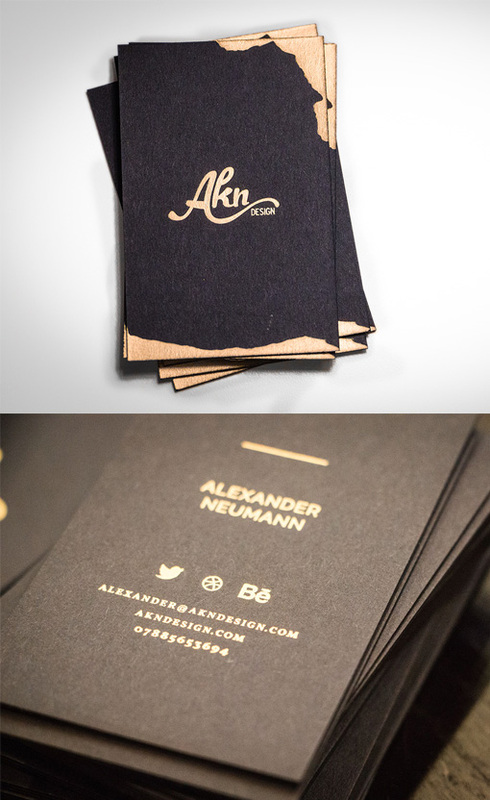 It's hard to go wrong with using the beautiful contrast of gold on black as a colour scheme for a business card. These cards have the added contrast of a creative, free flowing design on the front coupled with a more conservative and understated minimalist design on the back. The typeface used on the front is sinuous and undulating and it is framed by the added highlight of some freeform gold foil on opposing corners.